A regional daily has branded councillors “an absolute disgrace” after it was barred from reporting on a meeting about the planned creation of a so-called ‘super council’. The Nottingham Post has hit out at Nottinghamshire County Council’s decision to hold the meeting in secret on the grounds that confidential information “privy only to elected representatives” would be discussed. The Post had attempted to send a reporter to cover the meeting, but was told beforehand it would not be open to the press and public. 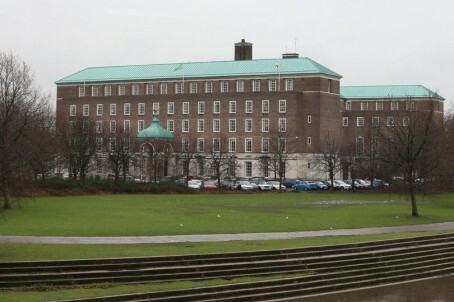 The meeting at County Hall, pictured, in West Bridgford, was held by a working group featuring leaders of all political parties represented on the county council. Under the plans, all district and borough councils in Nottinghamshire would be dissolved and a brand new unitary authority, or ‘super council’, formed. In an editorial published on Friday about the previous day’s meeting, the Post said the councillors behind the decision to bar its journalists “should feel ashamed of themselves”. It said: “This is the most controversial and potentially far-reaching debate about the shape of local government in Nottinghamshire for decades. The outcome could affect everyone living in the county, including those of us entitled to vote for councillors to represent us. “Like what, for heaven’s sake? This was not one of those cases where secrecy might be justified on the grounds that a company’s finances were being discussed, for instance, in the course of bidding for contract. Nor were the private details of a member of the public being aired. Post editor Mike Sassi told HTFP: “It’s outrageous that an elected council is proposing to make such an important decision – one that potentially affects the lives of so many local people – behind closed doors. “What do they have to hide? They should have the courage to front-up and defend their proposals. A provisional timetable shows that a final vote on the scheme could be held in May next year, after a public consultation. Nottinghamshire County Council has declined to comment. This is just another example of how the “power of the Press” – at least regionally – is now empty of meaning. Of course the councillors “should feel ashamed of themselves” etc, etc, but it reveals how little respect they have for the local Press which has only itself to blame. Ever since it abandoned its primary role to hold those in power to account in favour of undemanding, cheap and tawdry content, the regional press has forfeited its right to that power. Absolute disgrace – the attitude of the council and councillors. If you go into public office you should take the rough with the smooth. Those same councillors will probably try to cosy up to local reporters for a favourable comment on how they managed to “save” a resident’s drain system. They want it both ways.